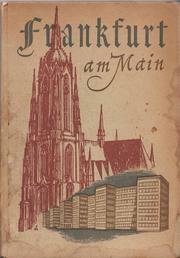 1 edition of Frankfurt Am Main found in the catalog. Are you sure you want to remove Frankfurt Am Main from your list? Published by USFET in Frankfurt . Frankfurt am Main, one of Germany's historic cities, fell to the U.S. Third Army 29 March 1945.
by the Information and Education Section of Headquarters Command. Leonard Kleemann, Carl Weiss and Dr. Paul Wolff, Frankfurt. Colored Photos by Philipp Diehl. Maps by Heinrich Pauser, Frankfurt. 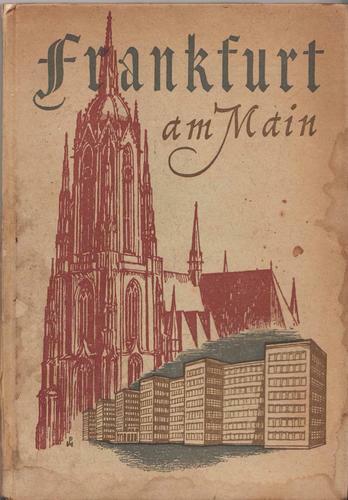 Printing by W. Kramer & Co., Frankfurt.